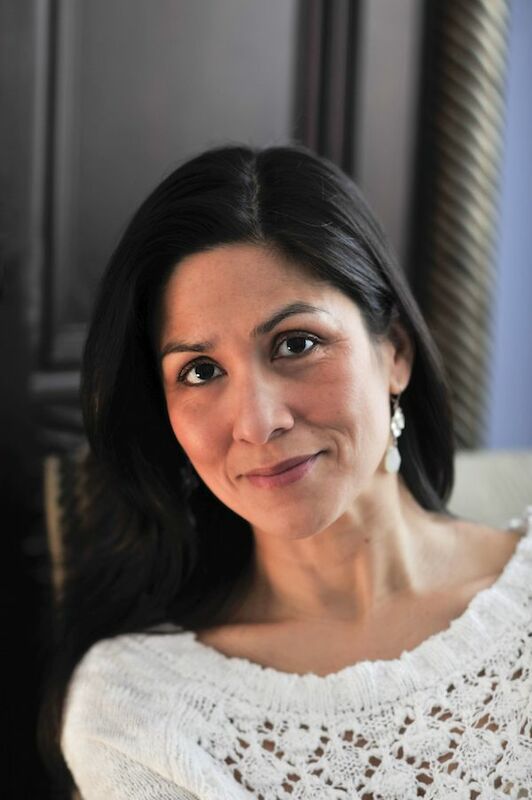 I used to be an assistant professor of English and Women’s Studies at the University of Delaware, but after I signed the contract for my second novel, I left teaching to write full time. The transition was much easier than I’d expected. While it required a shift in managing my time and, to some extent, my finances—because novelists get paid sporadically and in relatively big chunks as opposed to a paycheck every two weeks—there really wasn’t an identity adjustment because I’d always considered myself as primarily a writer, even when I wasn’t making a living as one. I think it’s worth thinking hard about what “all” means to you personally. For me, it’s having a thriving, happy marriage and family life, a handful of very close friends, a career I’m passionate about, and enough financial security to not worry about money constantly and to splurge on fun now and then. I also want to give something good to the world. I don’t need to make a huge splash, but I’d like to add to the collective goodness. When I take the time to step back and look at my life, which I don’t do often enough, I think I do have it all, and I’m grateful. I love my job and the people in my life so much. I’m a natural worrier, a huge worrier, the kind who wakes up at 3:00 AM in a cold sweat over all manner of things, many of which are entirely out of my control. I worry an awful lot about my children. Even though intellectually I know that my kids are lucky, happy people—healthy, going to good schools, playing sports that they love, living in a safe neighborhood—I am so tuned in to them emotionally, to all the daily, hourly ups and downs, that too often, I fail to keep perspective. They don’t get invited to a party or don’t get the grade they were hoping for or don’t get the time they wanted in the 100 backstroke—all the normal, growing-up disappointments—all of it hits me much harder than I think is helpful to anyone. I try to get some emotional distance, to take it in stride, but it’s a tremendous struggle. I’m getting more disciplined about my job. I am so grateful to be able to write for a living, and I am most at home in my life, most bone-deep satisfied when I’m fully immersed in a novel. But writing is hard. You have to bring your best, most tuned-in, wide-awake self to it. And it can be frustrating and exhausting. Going to the grocery store, doing laundry, cooking, going to lunch with friends, exercising, even doing volunteer work can be much easier and even more immediately rewarding. So I’ve had to get tougher with myself, to set daily concrete writing goals and put other things aside in order to achieve them. I’m getting better, but I still have to check in with myself pretty often. If, for instance, I catch myself folding the laundry while it’s almost too warm to handle, I know I’m procrastinating! From your spouse? “Don’t worry so much because worrying usually doesn’t help and it makes you miserable and most crises turn out to be far less dire than you think they’ll be.” I wish I could say I follow this advice consistently. From your kids? “Don’t yell all the time because when you yell all the time, we stop hearing you. Be like Dad and just yell once in awhile—but very loudly.” I wish I could say I follow this advice consistently (or at all). I would probably exercise, preferably outdoors, because I know that’s what I should do, but secretly, I’d rather spend the hour sitting on the sofa with my dogs watching a Law and Order or Foyle’s War rerun. Only spend your time and heart on people who add richness to your life and make you better. To worry less, plunge myself heedlessly into joy more. Cooking. When I have time, I actually enjoy cooking, but most of the time, I’m in a rush, and there’s just nothing fun about it. I wouldn’t trade with anyone permanently, but I’d definitely be the ballerina Misty Copeland for a year. I’d love to put the kind of faith in my physicality that she does, to be so fully embodied, so steely and graceful and hard-working, and I’d love to wear tutus for a living. I’d hate any job that involves doing math on a regular basis. Everything by Ann Patchett, Barbara Kingsolver, E.M. Forster, Kent Haruf, and the books that meant the world to me when I was a kid: Elizabeth Enright’s Melendy Quartet and L.M. Montgomery’s Anne of Green Gables series. Funny Girl by Nick Hornby. Activity? I slow down when someone is tailgating me, just to annoy the other driver. Food? Really good French fries. Never leave me alone with your fries. Website? Zappos. Insomnia and Zappos are a dangerous combination. Six and a half, with a couple of three to four hour nights thrown in every week. The New York Times, paper edition. The Tuesday Science section is my favorite. I think I: should watch more movies. I wish I: liked olives and had long eyelashes. My kids: make me laugh every single day. “Only connect!” (I did not make this up). 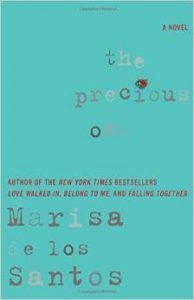 Marisa de los Santos is the New York Times bestselling author of four novels for adults, most recently, The Precious One, and the middle grade novel Saving Lucas Biggs, which she co-wrote with her husband David Teague. She and David live in Wilmington, Delaware with their children, Charles and Annabel, and their two Yorkies.